Discover the magnificent scenery of Antarctica and its abundant summer wildlife of seals, penguins and whales. Our sturdy Polarcirkel boats take us ashore for a close-up look at penguin colonies, modern research facilities and historic sites. Marvel at the mountainous scenery and icebergs floating by. See the essentials of the Antarctic Peninsula. Maximum time for landings and scenic sails through the channels and fjords. See nunataks and buzzing wildlife. Learn more about this fascinating continent and its history through our on-board lecture series. See nunataks and buzzing wildlife . Learn more about this fascinating area and its history through our on-board lecture series. 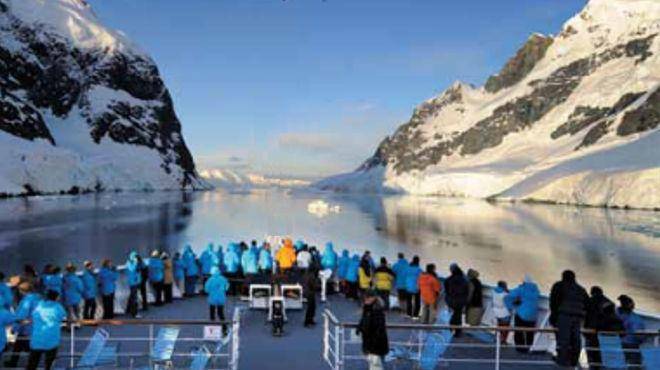 Join us for a special departure featuring a rarely visited area of the Antarctic Peninsula. 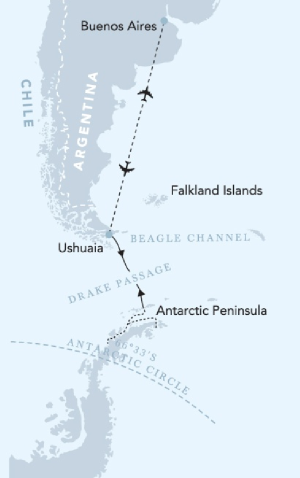 We aim to cross the Antarctic Circle and continue further south. Travel where few have gone before and come ashore for a close look at numerous penguin colonies and historic sites. Become a true polar explorer by joining special hikes, kayaking excursions and spending a night in a tent pitched in the snow! Day 15: Ushuaia / Buenos Aires. 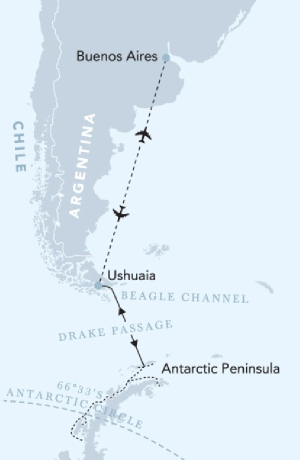 Set out on a quest to cross into the Antarctic Circle (South 66° 33'). Experience plenty of landings on Antarctica to experience the rich wildlife and fantastic scenery around you. Explore some of the most extreme and remote places around the Antarctic Peninsula. One over night in Buenos Aires. Join us on a voyage of exploration and discovery to this corner of the earth! Come ashore for hikes, take to the sea in a kayak and spend a night on land in a tent. Enjoy visits to sites where huge elephant seals lounge on the sand, fur seal pups race in and out of the water, albatrosses soar and King penguins amass in the thousands. 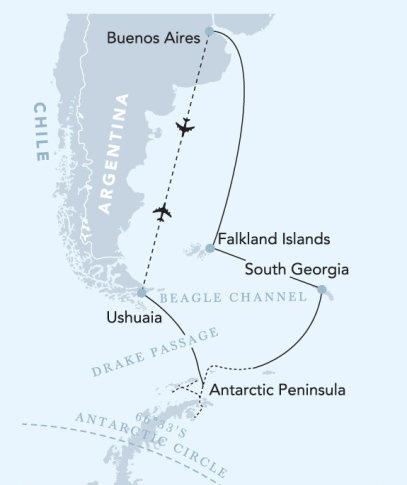 An epic voyage to the historic sites of the Falkland Islands, South Georgia and Antarctica. Learn of the trials and tribulations of the early explorers. Visit the grave of Sir Ernest Henry Shackleton. See the largest King penguin colonies in the world and the surrounding fur and elephant seal groups. Join us on a voyage of exploration and discovery to this far corner of the earth! Come ashore for hikes, take to the sea in a kayak or spend a night on land in a tent. Enjoy visits to sites where huge elephant seals lounge on the sand, fur seal pups race in and out of the water, albatross soar overhead and King penguins amass in their thousands.